Christian has been passionate about Performance and Fitness for the majority of his life.. Although his Athletic career ended before he was able to accomplish his goals, his love for the weight room continued. 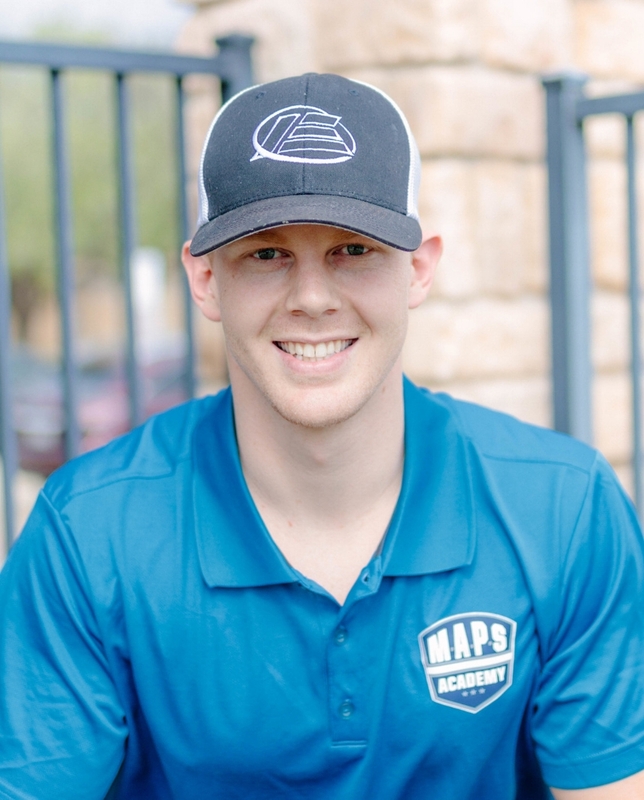 This passion led him to the fitness indusrty where he served two years as a Fitness Director/Operations Manager before following his passion for Athletic Performance and becoming a Certified Physical Preparation Specialist (CPPS). He has since added the Advanced Athletic Preparation Specialist (CPPS 2), Functional Movement Screen (FMS2), Certified Weightlifting Performance Coach (CWPC), Certified Speed and Agility Coach (CSAC) and Dynamic Variable Resistance Training (DVRT) certifications to his “tool belt”. These areas of specialization allow Christian to develop and enhance his athletes specific needs at various stages of their athletic careers. Christian along with his team of Certified Strength, Nutrition and Mental Experts developed M.A.P.S. Academy (Mobility, Aesthetics, Performance and Strength) an Athletic Performance and Adult Functional Fitness Program designed to educate and inspire all clients toward reaching their full potential. Kaytee’s background has consisted of fitness and performance since as long as she can remember. She competed at the D1 NCAA Collegiate Level in soccer on scholarship. She spent her first two years at the University of North Carolina at Greensboro, where she studied Kinesiology, Nutrition & Public Health. As a Junior, Kaytee transferred, on another scholarship, to University of Texas at San Antonio, to finish up her collegiate career, as well as earning her Bachelors in Kinesiology. As a senior, she had the opportunity of working in the UTSA Weight Room, as a strength coach, for women’s soccer, volleyball, football, and baseball/softball. Following her playing days, Kaytee stayed in San Antonio and went on to coaching soccer at the select level . She spent three years as a head coach of youth girls, ages 8-14. Now residing in Dallas, Kaytee continues her love of fitness competing in Bodybuilding - Bikini Division, where she is nationally qualified and working to get her Pro Card in the upcoming 2018 season. She enjoys helping and watching people become a better version of themselves through adapting to healthier lifestyle choices. Kaytee believes the progress to our mind, body, soul is how we find happiness, and that, only through bettering ourselves, can we better others.